How To Buy The Best Food Mixer - Which? It's not just Kenwood vs KitchenAid any more. Read our expert guide to finding the best mixer for you. A good food mixer will take all the hard work out of baking, mixing batter and kneading dough to perfection in seconds, leaving you to get on with other things. 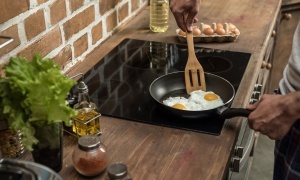 But some cost more than an oven or a washing machine, so it's worth making sure you are buying the right model for you before splashing out - and checking whether you can get a good mixer for less. Food mixers (also known as kitchen machines or stand mixers) are a great choice for keen bakers and for anyone who wants to make cakes, bread, muffins, pastry and desserts without spending hours in the kitchen preparing them. Below we explain the different types of mixer, how much you'll need to spend and features to look out for. 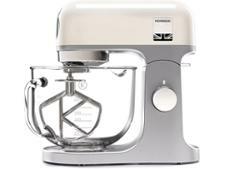 Alternatively, you can skip straight to our list of stand mixer Best Buys to discover the models that Which? recommends. Which mixer do I need? There are two main types of fixed-stand food mixer. Food mixer - these focus on classic baking jobs using the main mixing bowl and standard attachments for whisking, mixing and kneading. Kitchen machine - these have extra ports for different attachments and can tackle a wider variety of food processing jobs from chopping and slicing to blending and mincing meat. 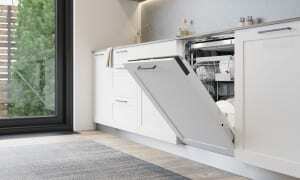 You might expect kitchen machines to be more expensive, but it's often the other way round. Designed to tackle every food preparation job in one machine, they can be good 'starter' products when you're setting up home. If you tend to bake more than you chop, you might be better off with a dedicated food mixer, but it's worth bearing in mind the extra options a kitchen machine will give you. You can find all our reviews for food mixers and kitchen machines by heading to our food mixer reviews. How much do I need to spend to get a good mixer? 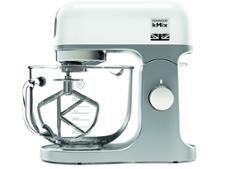 Mixers range in price from just under £100 to over £500 - even more if you buy additional attachments. What you get for the extra money, apart from a major brand name, is usually a more solid build (full metal), bigger capacity and a quieter motor. Extras such as a pause or 'folding' function, or a countdown timer, can be found on fancier models, along with glass or metal bowls and more specialised mixing attachments. Premium models also tend to be heavier because of their all-metal construction, but this can help with stability. The good news is that a decent stand mixer doesn't have to cost more than £150. We've found Best Buy mixers for less, and we also found that some expensive models do a worse job of mixing than models costing less than half as much. 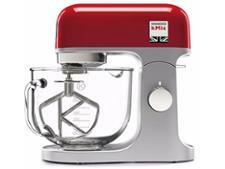 Find the best cheap models by heading to our stand mixer reviews. Make sure the stand mixer will have all the tools for the tasks you need doing. Every model should come with a dough hook (kneading), a balloon whisk attachment (whisking and whipping) and a beater tool (mixing). Splashguard - to cover the mixing bowl and prevent ingredients flying out and splattering you and your machine. Flexi-beater - these have a flexible spatula edge on one side of a standard beater, allowing them to scrap all the ingredients off the side of the bowl during mixing. Food processor attachment - if you’re after a machine that will slice or grate, choose a stand mixer that has a food processor attachment. Jug blender - if you want to blend smoothies or soup, you'll want a stand mixer with a jug blender attachment. These can sometimes also crush ice but you'll need to check this, as models vary in their capabilities. Other, less common attachments include mincers and sausage makers, ice-cream making bowls, biscuit cutters, pasta makers and spiralizers. Food mixers can be hefty machines, so make sure you have enough kitchen counter space for the model you choose. Think in particular about the height of any cabinets above where you'll put the stand mixer, which may obstruct the lever-operated arm of the mixer's top section. Also think about how heavy the mixer is if you'll need to move it around or store it in a cupboard. Stand mixers generally come with larger bowls than food processors, so can struggle with smaller amounts. If you like to make particularly big batches (more than two cakes' worth at a time), you'll need to go for a mixer with a large-capacity bowl - at least 500ml. Washing stand mixer attachments by hand can be a bit of a faff, particularly fiddly beater attachments. 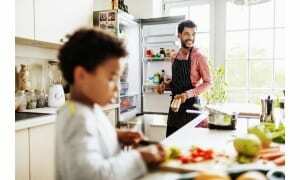 Look for a model with dishwasher-safe accessories so that cleaning will be less of a headache. It's vitally important to check the instructions first, as washing parts incorrectly in a dishwasher can cause the plastic to split. Even parts listed as dishwasher safe can be damaged by putting them in a washing cycle that's too hot. 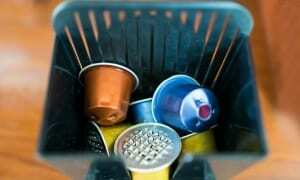 Some manufacturers warn against washing in temperatures above 40°C, and to avoid the drying cycle altogether, which can also cause the plastic to split. Often accessories should be washed on the top shelf only, so make sure you check the instructions first. Some food preparation appliances come with a wide variety of accessories, which can take up a lot of valuable kitchen storage space. If you think this is going to be a problem, look for a model that includes a storage box or compartment. Some are designed so you can pack away the accessories inside the bowl. Most brands will have spares available - handy if you lose or break an accessory. Most brands, particularly well-established ones such as Kenwood and KitchenAid, will have spares available. These are handy if you decide to buy extra attachments, or a spare bowl to save on washing up mid-bake, and also if one of your attachments gets lost or broken. Check the instructions for information on where to buy spares, or look on the manufacturer's website for details of what extra parts and attachments are available to buy. You can also search online for websites that specialise in selling spare parts. You don't need to worry too much about this, unless you particularly want a wide range of speed options. We've found that the number of speed settings and the wattage of the machine aren't reliable indicators of quality when it comes to stand mixers. So it's worth bearing in mind more doesn't necessarily mean better. Pause - this allows you to stop the mixer to add ingredients, and then restart on the same speed setting rather than starting from scratch. Fold - a gentle mixing motion to fold in flour to cake mixes without beating the air out of the mix. Soft-start - even if you crank the mixer up high, it will start gently to avoid all the ingredients being flung out of the bowl. Timer - allows you to see how long you've been mixing for. Now find the perfect stand mixer for you by checking out our food mixer reviews.